Final Fantasy X and it’s direct sequel Final Fantasy X-2 will be bundled together onto a single blu-ray disc in the Final Fantasy X | X-2 HD Remaster. Square Enix has officially announced the HD remaster and its western release after nearly a year and a half of silence on the matter. And don’t stop getting excited yet because this game looks absolutely gorgeous. 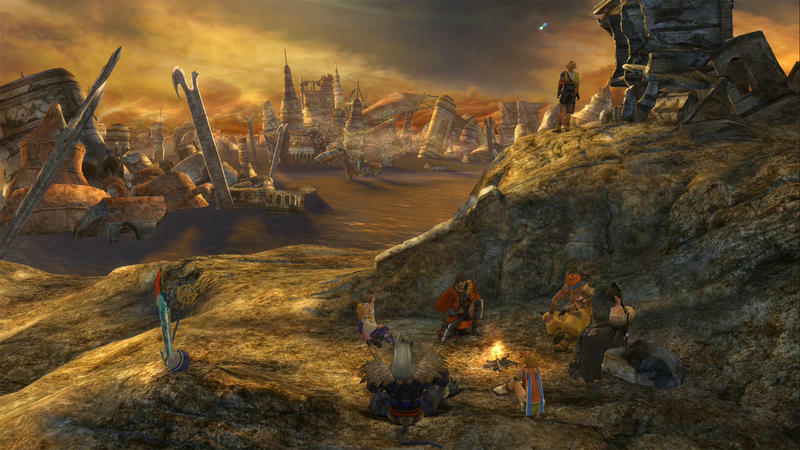 Released in 2001, Final Fantasy X can still be considered a graphical powerhouse for the PlayStation 2 despite its relatively early launch. This is all thanks to its gorgeous art style which flawlessly backs up the leaps and bounds it created in the JRPG wold. In fact, the new HD makeover almost looks a little too clean and crisp for my liking, but I’m sure with just a little amount of time, the world of Spira will pull me in and not let go until its finished yet again. Check out the new look in the gallery below. And much like it was recently leaked in Japan, Final Fantasy X-2 will be getting a release as well, so if you want to play a little Charlie’s Angels, the option is always there too. No official date has been set yet, but Square Enix has stated that the game will be released in America before the end of the year. The Final Fantasy X | X-2 HD Remaster will be available exclusively for the PlayStation 3, and it will most likely be the best JRPG available for the console despite being over a decade old.